Chad Black has been in Fire and Emergency Services for the past 34 years, including 17 years in Air Medical Transport Services. Chad retired in June of 2016 as Deputy Fire Chief for Hall County Fire Services after 31 plus years of service. Chad now serves as the Director for Habersham County Emergency Services, where he over sees Fire, EMS and Rescue for the county. 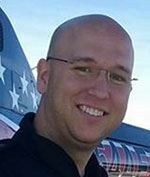 Chad worked both part and full time for 17 years with Air Methods Corporation, where he worked as a Critical Care Flight Paramedic, Georgia Business Manager, S.E. Regional Business Manager (GA, FL, SC, NC, AL) and in 2013 and 2014, as a consultant performing work in Corporate Business and Governmental Affairs. Chad is a Licensed National Registry Paramedic and holds instructor certificates in Advanced Cardiac Life Support, Basis Life Support, International Trauma Life Support, Pediatric Advanced Life Support and Paramedic Preceptor. Chad also is a certified Hazardous Materials Technician and past Chief of the Hall County Fire Services Hazardous Materials Team. Chad holds over 15,000 training hours in both Fire and EMS (Ground/Air) related topics including Rope Rescue, Hazardous Materials, Incident Command, Emergency Operations Center Management and Rescue Systems to name a few. 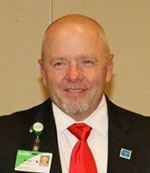 Chad currently serves as Chair the EMS Region II Regional Trauma Advisory Committee as mandated by Senate Bill 60 that established the Georgia Trauma Commission where he represents EMS Region II. 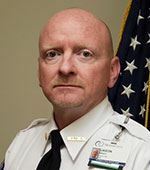 In June of 2010 Chad was appointed to the EMS Sub-Committee of the Georgia Trauma Commission for EMS Region II and also serves on the Region II EMS Council. He is a past member of the Georgia Statewide Trauma Action Team, Statewide EMS and Trauma System Development Committee, Georgia Air Medical Committee, Georgia Emergency Medical Services Information Systems Committee and Advisor to the Fire Science Program at Lanier College in Oakwood, Ga. Chad is currently back in college where he will complete his degree in Fire/EMS Business Administration. 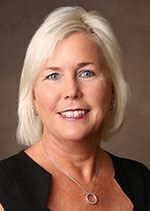 Having served on the board for the last six years and currently as the President of the Educators Division, Karen remains active in EMS and EMS education. Karen is currently the Program Director at Air Evac Statesboro, Georgia. She remains active in the EMS community by serving on EMSAC, Region 9 EMS Council, and GA EMS Leadership Alumni Board. She began her career in EMS as a First Responder in 1993 and has held many positions in EMS throughout the years. She also serves as an adjunct professor at Columbia Southern University in the EMSA program. Karen also remains involved as an American Heart and EMS Instructor and as a part-time Paramedic at Bulloch County EMS. She and her husband Fred, live in Brooklet, Ga. with their son, Kaide. Bengie has been in the involved in Emergency Services for the last 26 years as an emt/paramedic and has his firefighter I and II and currently serves as Chief of Operations at Southside Fire/EMS & Security and continues to work part time with the City Of Guyton as a firefighter. Bengie has served has chairman of the EMSC for several years and remains a member of the council as well as the Chatham County EMS Advisory Council. Bengie is a member of Countryside Baptist Church where he serves as team leader of their Safety team. Bengie currently lives in Guyton, Ga with his wife Toni and daughter. Daniel Warren is a Nationally Registered paramedic, licensed by the State of Georgia. He is a Flight Paramedic with Air Evac Lifeteam in Tift County, Ga and is also employed part time as a Paramedic with Thomas County EMS. He enjoys making memories with his wife Lindsey and his two sons Noah and Easton. Daniel began his career in public safety as a volunteer firefighter with Brooks County Fire Department in 2004. He became a career fireman in early 2006 with the City of Quitman Fire Department after obtaining NPQ Firefighter I and II certifications. By mid-2007, he was enrolled in a private, fast-track EMT-I program at the Regional EMS Training Academy. He graduated the program as valedictorian. After working for two years as an EMT-I, the decision was made to further his education in the field of EMS. Daniel graduated as a paramedic in 2009, this time finishing in the top three in his class. Daniel began working for Thomas County EMS as an EMT in 2009 while finishing paramedic school. By mid-2010, he was promoted to Field Training Officer/Training Lieutenant. Through these positions, he has become licensed by the State of Georgia as a Level II EMT Instructor. In addition, Paramedic Warren holds instructor certifications in multiple pre-hospital training programs. Daniel served as a consultant with the Georgia Association of EMS as a course developer of the Basic STEMI Recognition and Management Course. Since its development in March of 2014, he has participated in training almost 1,700 paramedics, EMTs, nurses, and mid-levels through the program. He has also developed the Advanced STEMI Recognition and Management Course as a continuation of the initial course. 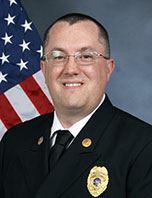 Jason Brady has worked in EMS for 27 Years, having served in Central Georgia since 2013. 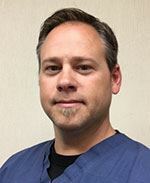 Jason currently serves as the EMS Director for Navicent Health EMS in Macon, Georgia. Jason has an undergraduate degree from the George Washington University in Health Sciences, a master’s degree in Business Administration from the Southern New Hampshire University, and is currently a Doctoral Candidate at Liberty University pursuing his Doctorate of Business Administration in Health Care Management. Jason is a licensed paramedic and Level III instructor, in addition to multiple pre-hospital certifications. Jason has served as a paramedic, flight paramedic, educator and administrator in Arizona, Illinois, Virginia and Texas prior to his last six years in Georgia. Jason has a strong passion for the EMS industry and is always looking to improve systems of care by advancing evidence based clinical practices, technologies and new innovation. 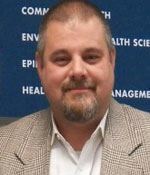 Jason currently serves as a member of the Region 5 EMS Council, Bibb County EMS advisory Board and the Central Georgia Tech College advisory committee. Robby has been serving the citizens of Georgia for nearly 26 years. He began his career at Metro Ambulance Service in Cobb County for 2 years before getting the opportunity to serve in Bartow County for 16 years. Robby served in many capacities for Bartow and upon leaving Bartow was at the rank of Lieutenant. Presently he serves as Assistant Director at Floyd Medical Center Emergency Medical Services in Rome, GA. His career began at Floyd in 2008 and since being at Floyd he has served on many internal committees to enhance patient care and instill the lost art of customer service within an emergency service. He is one of the developers and present manager of Floyd’s Community Paramedicine Program that services Floyd and Polk counties. In 2016, he was a Class 5 graduate from the GAEMS Leadership Program and has since participated within the program for Class 6. Robby is very proud to be awarded the opportunity to serve on the GAEMS Board. 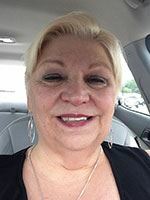 “Becky” started her career as an Emergency Room Clerk at Newton General Hospital in Covington, GA in 1973. She decided that she needed more training and enrolled in the EMT program at DeKalb Tech in 1976. Becky had found her calling as she loved the excitement and enrolled in the Paramedic course at DeKalb Tech. She was only one of two females in the class. After graduation from paramedic class in 1977, Becky was hired by Athens General Hospital EMS. She was the first female and paramedic who was hired by that service. After several years, she worked her way back to the Covington/Conyers area and worked for Newton General EMS and Rockdale EMS. Becky worked at Rockdale Hospital for 5 years as an LPN, then left to work for a private physician. She still missed working EMS and went back to work for National EMS. In 1986, she started working for one of the largest EMS services in Georgia, DeKalb EMS. While working there, she spent 2 years in training, but still missed the street. She went back to working the streets of DeKalb County. She had been teaching for DeKalb Tech part-time since 1986 and was still doing that while working EMS full-time. A full-time teaching position came open and she was hired by her mentor Marian Wilderboar. Becky continued to work at DeKalb Tech/GPTC until April 2018 when she retired with 30 years of service. She was recruited by Newton Fire Service and is working as their EMS Coordinator. Becky is the past President of the Georgia EMS Association Educators and sits on the BOD for GEMSA. She is past Chairman of the Board of the Georgia Firefighters Burn Foundation and was very involved in their camp that helps injured children. She was the 2004 Instructor of the Year for Region 3 EMS. She holds an Associate Degree in Emergency Medicine from Eastern New Mexico University, Roswell NM. Becky is working on other educational endeavors and enjoys walking, music, and reading. Dr. Stokes has been involved in EMS in the State of Georgia since 1996. He is currently a nationally registered paramedic, board-certified emergency physician, and is a fellow of the American College of Emergency Physicians. Dr. Stokes is the EMS medical director for several EMS agencies in Georgia, including Navicent Health EMS, Air Evac Lifeteam (Georgia), and Monroe County Emergency Services. 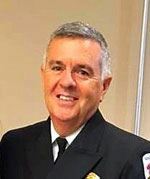 He is an at-large member of the Region 5 EMS Council, is a practicing emergency physician at Navicent health, and is the emergency department trauma liaison for the Navicent Health Trauma Service. 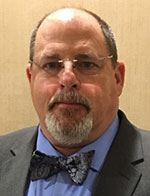 Dr. Stokes advocates for the advancement of prehospital care in all areas and is proud to serve as the president of the medical director’s division of GEMSA. Dr. Stokes lives in Macon with his wife, Debbie, and is a proud father of four children. Nick launched his EMS career in 1992, when he joined a volunteer EMS agency in southwestern Virginia. Three years later, he relocated to Georgia and began serving with the Georgia Army National Guard, CareLine EMS (later American Medical Response) and Mountain Park Fire & Rescue. In 1998, he embarked on a career with Cobb County Fire & Emergency Services where he currently holds the rank of Special Operations Lieutenant. Nick earned his Bachelor of Science—in Emergency Management—and Master of Public Administration degrees from Jacksonville State University. A recent graduate of the 2015 GAEMS Leadership Course, Nick considers it both a privilege and an honor to serve on the GAEMS Board of Directors. Nick lives in Marietta with his wife Emily and their two children: Ben and Ian. Jeff has worked in EMS for 24 years and has been teaching for the last 10 years. He has worked in urban and rural settings, for private, hospital-based and fire-based services. He is currently the Training Officer for Habersham County Emergency Services, a recently combined department incorporating Fire and EMS. He has been involved with GEMSA for the past 3 years and was a member of the 6th Leadership Class. He believes strongly in education, no matter what the age of the student. As the EMS industry continues to grow and move forward, he believes expanding our educational horizons and opportunities will play an extremely strong role in the product we deliver. Craig has been employed with Coweta County Fire Rescue for 17 years and currently serve as a District Chief. The service provides 24 hour Fire/EMS coverage where they transport about 10,000 patients a year. He also works part-time for AirMethods as a flight paramedic. These great experiences as well as working previously at private EMS agencies have made him very well rounded. Some major accomplishments throughout his career include becoming a father of three kids and being blessed with a wonderful wife. He also writes and maintains the protocols their personnel use at Coweta Fire. Currently he heads up projects that include ISO review, equipment purchasing, and CQI. He has been a practicing paramedic for the last 12 years. He is also a certified critical care paramedic (CCP-C) and flight paramedic (FP-C). He is an instructor in all AHA disciplines, PHTLS, and Fire Instructor. In 2017, he completed the GEMSA leadership course. Rafe Waters began his EMS career in 1999 as an EMT-I with Tattnall and Toombs counties. He earned his Paramedic license in 2003. In 2007, Rafe became a licensed EMS instructor, and served as the Director of EMS Programs at Swainsboro Technical College. In 2010, he returned to Tattnall EMS, serving as Assistant Director. In 2014, he began work full-time as a Flight Paramedic with Air Evac Lifeteam 95 Statesboro. Along with this, he was asked to remain with Tattnall County EMS as Director. In 2015, he became the Director for Air Evac Lifeteam 91 Vidalia. He was recently licensed as a Registered Nurse. Rafe is graduate of the 2013 Georgia Association of EMS Leadership Course. He is also a charter member of the Georgia EMS Leadership Alumni, helping to create and approve the bylaws. Rafe currently serves as Chair-elect for the Leadership Alumni. Rafe currently lives in Statesboro, and he is married to Dana. They have one daughter Delaney.